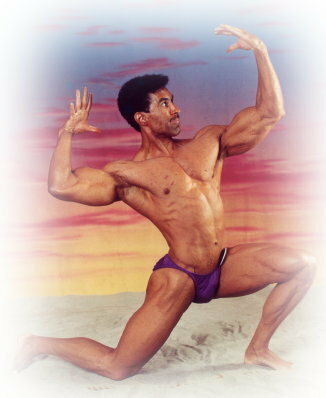 I am a natural bodybuilder, which means no use of steroids to enhance strength and size. It’s important to note that I don’t train strictly to enter contests, but rather to sculpt my body and achieve greater levels of fitness. Every day, I look forward to a high-intensity workout that tests my mental resolve and requires 110% physical effort. My philosophy on training is that each session is an investment in your future more so than it is time merely spent exercising. In effect, you’re purchasing stock in yourself, and its value only goes up. The returns I have realized on my investment are significant, to say the least: winning the light-heavyweight division in the ABA World Natural Bodybuilding Championships, receiving daily compliments from total strangers, and most importantly, having a high level of self-confidence that goes with being in top physical shape. I work out for two hours a day, six days a week and adhere to a set nutrition program from Sunday through Friday. Some might consider such sacrifices too great, but for me, it's about enjoying a high quality of life. You give up a little, but you gain a lot! This enterprise and website are not about me, but instead about you (compare the number of "I" references to the "you" references on the other pages), so rather than focusing on who I am, the text that follows sheds insight into why I am the right person to help you reach your fitness goals. Nothing else matters. Fitness was my life before it ever became my livelihood. I have competed in all types of sports since early childhood, and maintained a strict training regimen as a means to maximize performance and minimize the risk of injury. Being a competitive person by nature, I suppose it was only natural for me to take weightlifting to the level of bodybuilding. 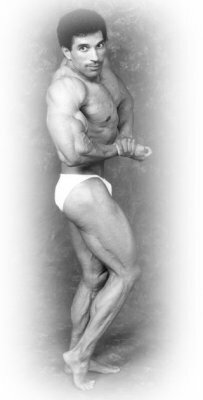 Two principal reasons that bodybuilding appeals to me are because it is an individual sport, which I prefer to team sports on the basis of sole accountability, and you (and others) can literally see your results commensurate with the amount of effort expended. Also, I love to lift weights, period. than to have vast wealth without good health. How you live plays a big part in how long you will live. Fitness is the fountain of youth.